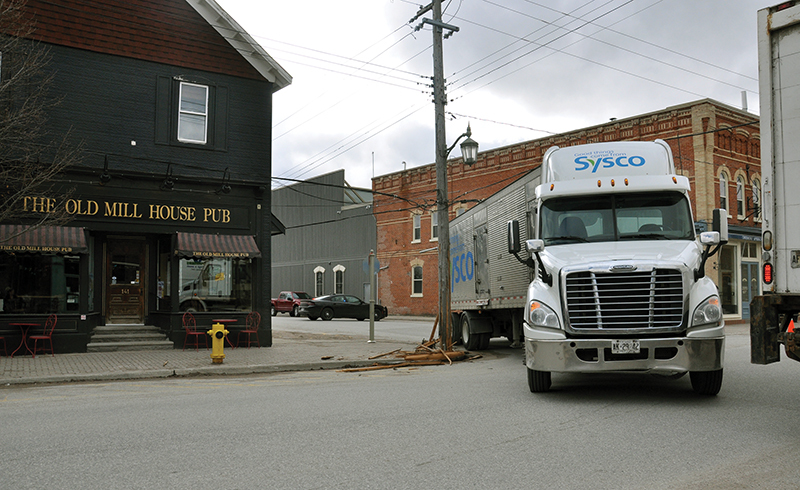 Crews vacuum a hole for a new utility pole at the corner of Mill and Elizabeth streets April 10 after a food delivery truck, making its regular rounds in Creemore that morning, snagged overhead wires, breaking the pole. Epcor had a new pole delivered from Collingwood and power was cut for a time in the afternoon. There were no injuries or damage to the vehicle and no charges were laid.